At Falcone we're proud to carry one of the best selections and in-stock inventories of electrical sensors and indicators, including some of the most commonly-requested parts from manufacturers such as Bussman, Nutone, Intermatic and many others. 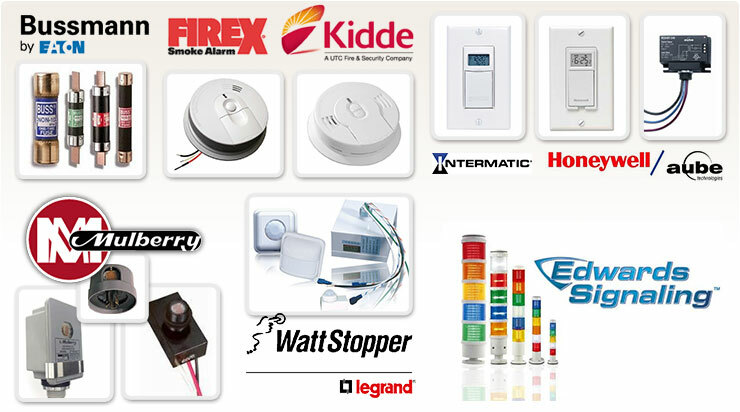 From bells, chimes and buzzer signaling units, to commercial and residential smoke and CO2 detectors from Kidde, Falcone works hard to always have the parts you need in stock and ready when you need them. Looking for something specific or hard to find? We've established excellent working relationships with today's top electrical parts manufacturers, and can source your item quickly if it's not in stock. Call Falcone Electric in Batavia to check our inventory first!